What are these extensions about? These are the highest quality in hair extensions- using 100% human remy hair and come in over 90 colors including ombre shades and fantasy colors. 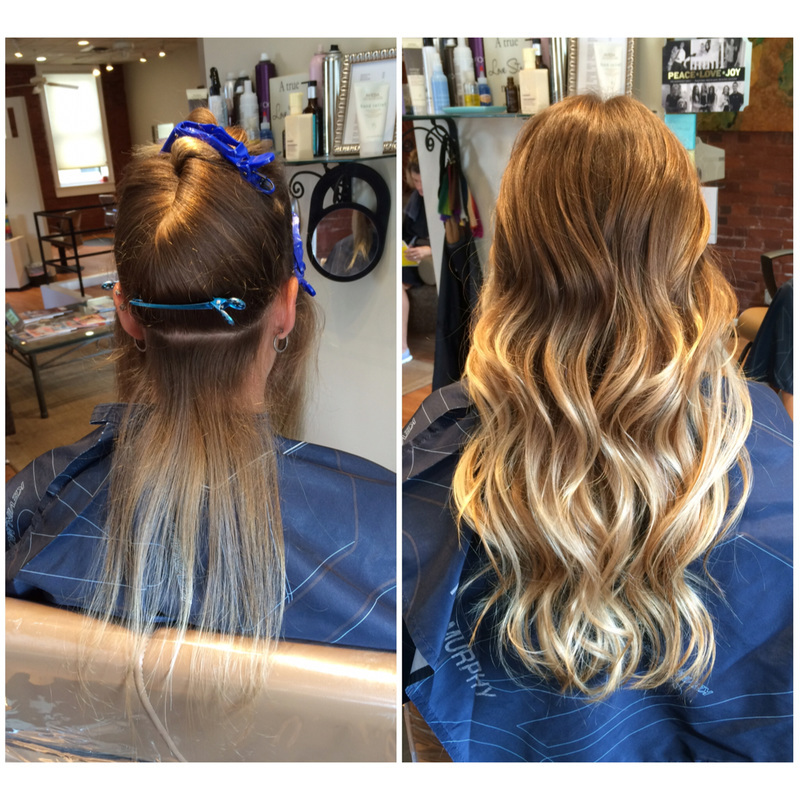 SHE extensions come in strand-by-strand keratin tipped and tape-in strips. They are available in three textures: straight, wavy and curly as well as three lengths (14-16" 20-22" and 24-28"). SHE uses natural human hair so you can wash, wear, blow-dry, curl and straighten them just like your normal hair. We suggest you use a professional quality shampoo and conditioner and brush your hair daily. The Fusion extensions come in single strands and are applied individually strand by strand for a very natural look. They last the longest from 4-6 months but are more expensive. Remove with a solution that dissolves the bond and discard the hair. The Tape-In extensions come in strips and are great for finer hair types as they lay very flat. They are less expensive but only last about 6-8 weeks. Remove with a solution that dissolves the adhesive and the hair can be re-used a second time with new adhesive strips!